Think you know every college out there? Think again. Here are some diamonds in the rough from The Pelican State. 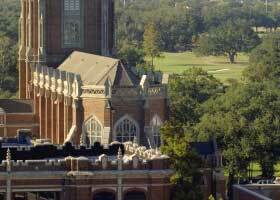 Loyola University New Orleans (New Orleans, LA): This school is growing in popularity because it offers a wonderful Jesuit education in an ideal location. Loyola stands in the shadow of its neighbor, Tulane University, but the students represent all 50 states, and it is a nice place for B students. The music department is top-notch.